This carpet is perfectly woven in handspun wool and bamboo silk material. It contains a modern design pattern and ideal for a modern home interior. The size of this carpet is 8' x 10' ft which is a large size. So place this rug in your bedroom and give a new look to your decor. 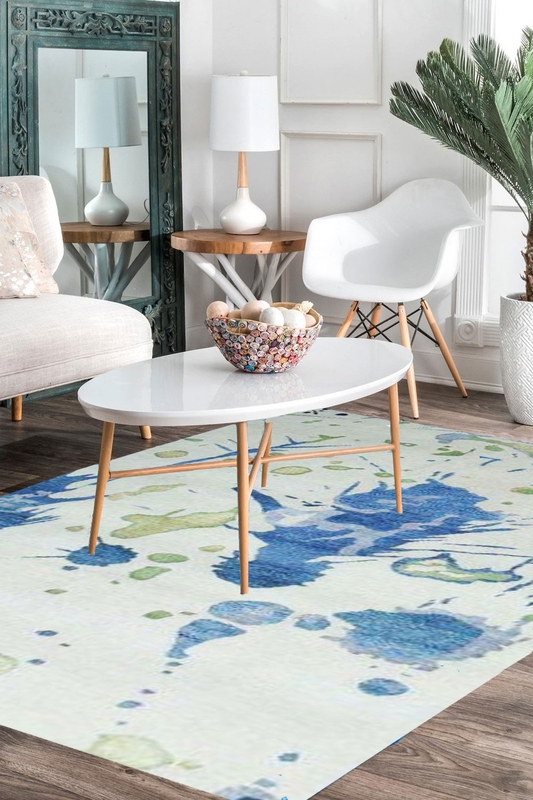 This durable and expertly crafted modern style hand knotted rug is made with high-quality cotton, handspun wool and bamboo silk material by artisan rug makers. This rug is totally hand-washable rug which you can clean at your home. Hand-knotted results in this rug that prevents curling and keeps its quality overtime. 100% handspun wool Blend Wool Pile feels soft and plush underfoot. Bamboo silk is used to provide a soft touch and durability to this carpet.